Registration and room block is now open! General information is provided below. For complete details visit our Spring Congress registration website. OD CE: earn up to 15 hours of COPE Approved/NC Certified credit. NCOS members have the opportunity to earn an additional 1 hour of general credit. A room block is available at the Embassy Suites hotel and at the Kingston Plantation Condos & Villas. 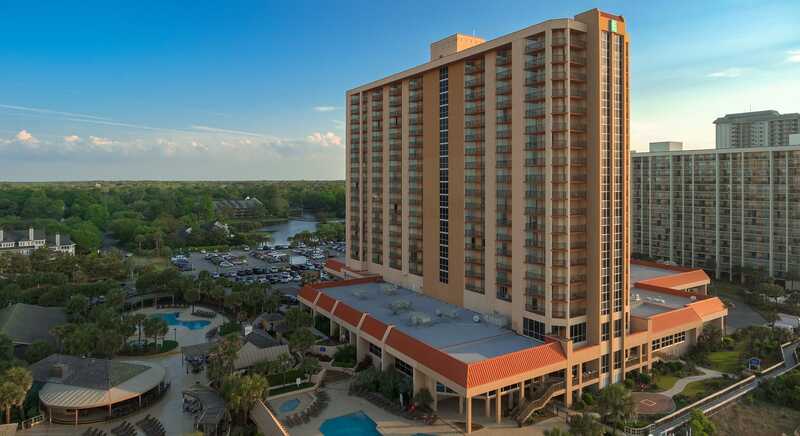 Oceanview rooms at the Embassy Suites start at $241/night. Kingston Plantation villas start at $178/night (one, two, and three bedroom villas available). Kingston Plantation oceanview condos (two and three bedroom condos available) start at $294/night. "One of the lecturers did a case presentation, and today I had a patient present similarly! Really helped having that refresher!" "I used to attend SECO, and I prefer this conference by far, excellent location and great hours offered." "My favorite part was being able to go with my staff and have them learn some new stuff and it being family friendly, so I wasn't always away from the family during the day." "The 2018 OSHA course probably saved me at least $12,000." "I enjoyed the small classroom feel and that the speakers allowed for questions and even stayed after for anyone who had additional questions that were not comfortable speaking up in the group setting. Also, where it was held was gorgeous!" "Keep up the great work of providing us the knowledge and experience we need to be excellent assets to our practices." "All the classes this year provided me with more detailed knowledge that I took back to my practice. I loved all the information I got out of the classes." If you have any questions contact Christy Santacana, Meetings Coordinator, at (919) 977-6964 or [email protected].